How do Magnetic Sound systems work? A brief introduction to the physics behind Magnetic Sound®. To start to make sound, a our system first activates a magnet. 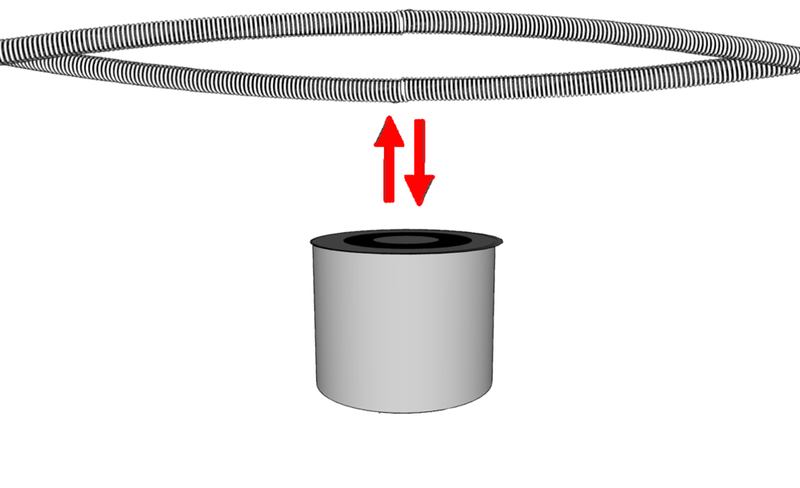 The magnet creates a force to push a metal string upwards, creating momentum. Less than one second later, we reverse the direction of the magnetic field, swinging the the metal string back downwards. We continue this cycle over and over very quickly, hundreds of times per second, to create what is called a "standing wave". The fast motion of the string becomes a cyclical oscillation similar to that naturally produced in a guitar, violin, or any other stringed instrument.